Monday February 18, 12:00 noon. 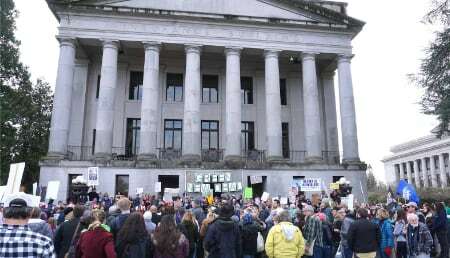 Olympia Indivisible rallied citizens to protest Trump's Emergency Declaration to build a border wall. 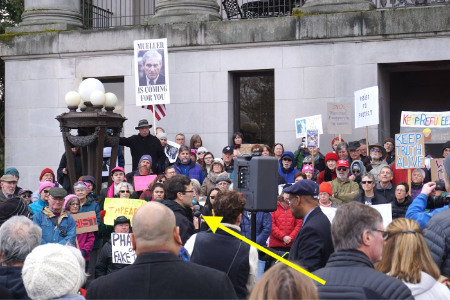 Hundreds turned out to listen to Washington State Attorney General Bob Ferguson, US Representative Denny Heck, and Olympia attorney Victor Minjares speak. ​This was part of a national Indivisible effort with rallies in cites all across America. Mr. Trump has not yet rescinded his Emergency Declaration, but to use the words of noted American immigrant and US Naval Captain John Paul Jones, we "have not yet begun to fight!"